Jobs at Metropolis India - Jobs Vibhaga - Dedicated job portal for unemployed job seekers. Metropolis, the best pathology lab in India what we believe is what we say and what we say is what we do. Being empathetic to our customers and being committed to their needs is in our DNA. Metropolis has grown to harness a culture that is open, synergistic, progressive and scientific in nature. We are the Pathology Specialists delivering over 30 million tests a year, catering to more than 20,000 medical Laboratories, Hospitals, Nursing homes and 2,00,000 Consultants. 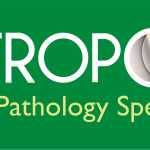 With 34 years of experience in delivering accurate reports, Metropolis has earned the reputation of being amongst the top pathology labs in India. Our medical laboratories can be found in India, Sri Lanka, Kenya, Mauritius & Ghana.